GAT is delighted to announce that The Prince of Wales&apos;s Charitable Foundation (PWCF) has agreed to support our "Hydrotherapy for All" campaign, through their Small Grants Programme. 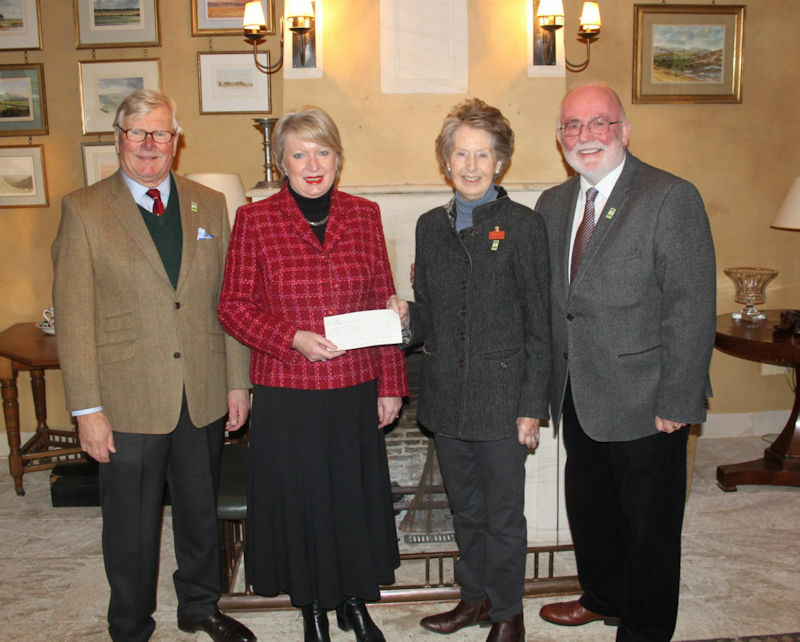 The Foundation is funded from a percentage of the profits generated by Highgrove Enterprises through the sales of Highgrove branded products and Highgrove garden tours. PWCF is a grant-making charity that supports a wide range of causes. Guy Rooker GAT Trustee, Christine Prescott CEO of Highgrove Enterprises, Sally Eyre GAT Chairman and Steve Morton GAT Secretary. The PWCF grant will go towards GAT&apos;s campaign to help the Chamwell Centre become a reality. 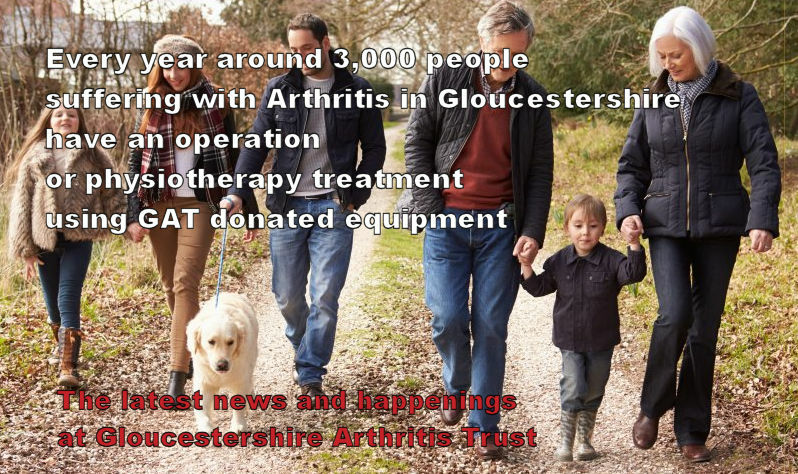 Alex Chalk dropped in to the GAT office recently to discover for himself the difference GAT is making to the lives of people suffering with Arthritis. Speaking with Guy Rooker, GAT Trustee and Steve Morton, GAT Secretary, he was briefed on how and why the charity was formed back in 1983 and on how we have used over £2.5m of donations in the last 34 years. As Guy and Steve listed all the grants for medical equipment, diagnostic equipment and physiotherapy treatments, which now help 3,000 people every year, he also learned of our partnership with The Chamwell Centre. After the meeting, he wrote to GAT, saying "I very much enjoyed seeing the &apos;nerve centre&apos; and thank you for the huge efforts you have put in over so many years to improve the treatment of people with Arthritis. You are clearly making a difference to the lives of a great many people in Gloucestershire, including children." 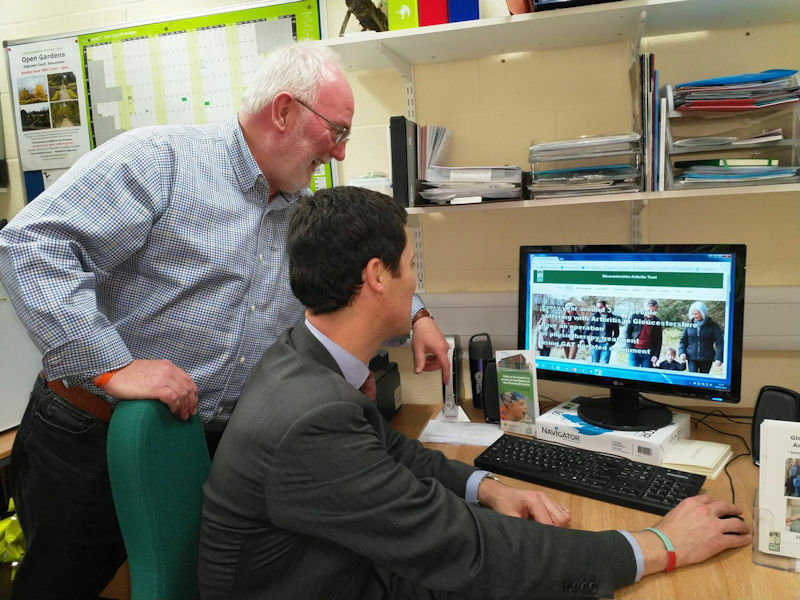 Our picture shows Alex Chalk MP being given an online tour of GAT&apos;s redesigned website by GAT Secretary Steve Morton.